The Gay Gamer: Sonic, Sonic, Sonic!!! I just realized that all three of today's posts are Sonic-related. Sorry about that. 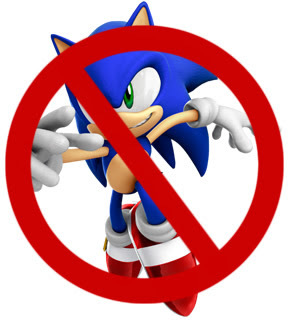 As long as it's gaming news, I'll be happy, Sonic or not. I can't wait to see what comes of this Sonic in SMG2 rumor...I hope someone DOES get bitchslapped for it. Or, god forbid, that it's true.